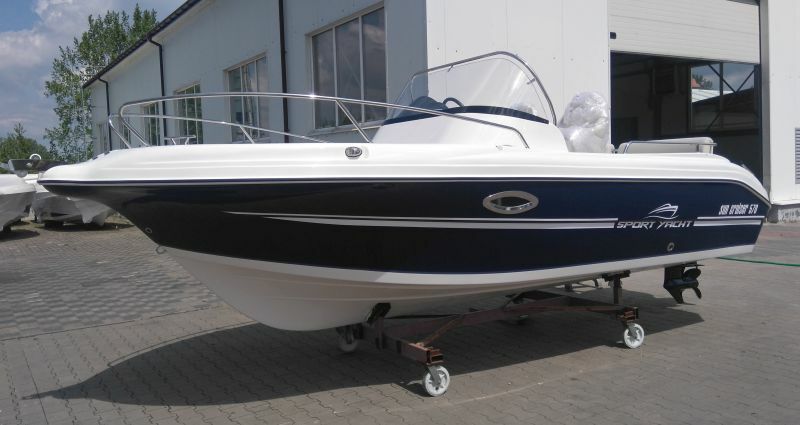 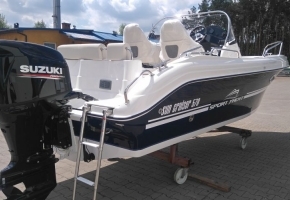 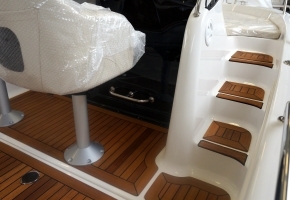 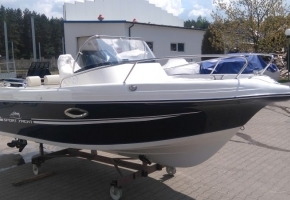 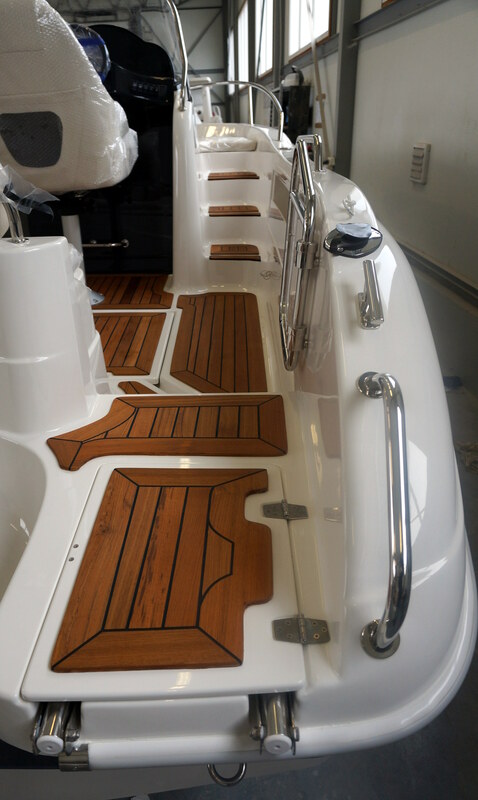 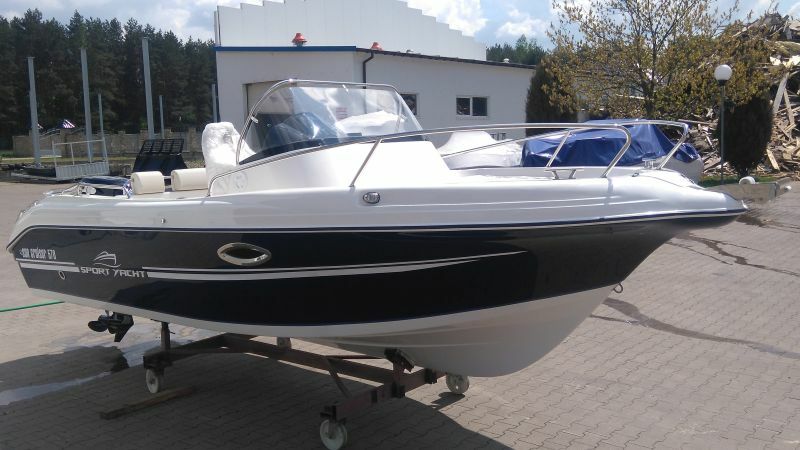 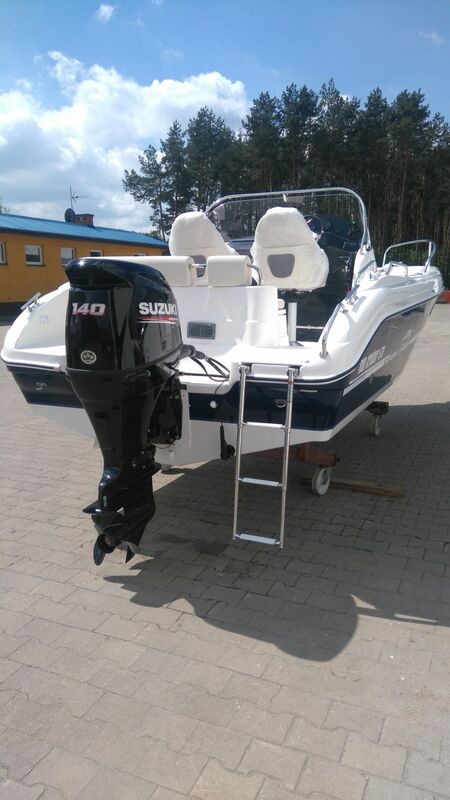 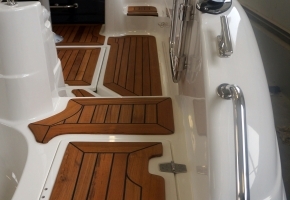 Sun Cruiser 570 is a typical motorboat with a cabin hidden under the deck, and centrally located steering console. 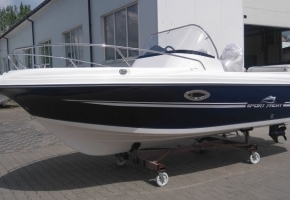 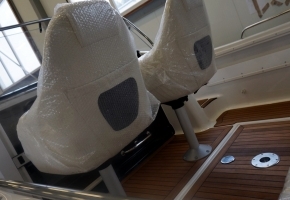 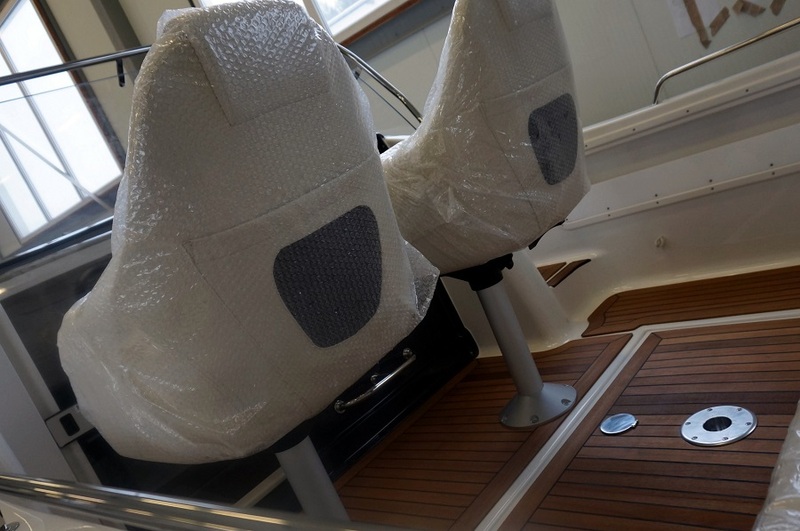 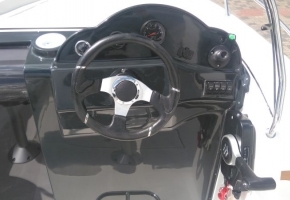 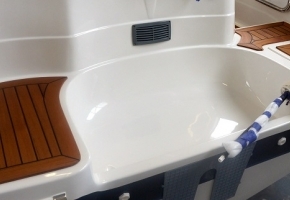 The boat has plenty of lockers to store equipment or wathever you need, very clear control panel, sliding door and a comfortable cabin for 2-3 people with functional storage lockers. 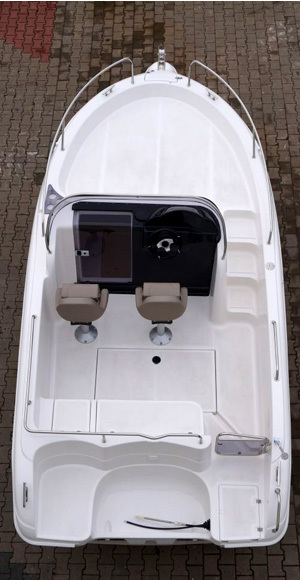 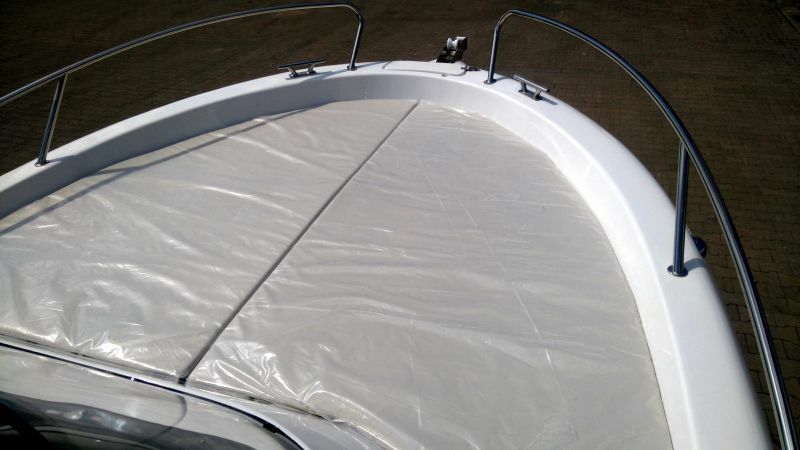 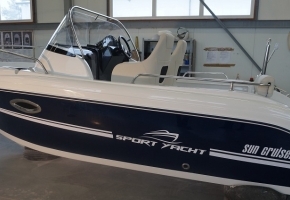 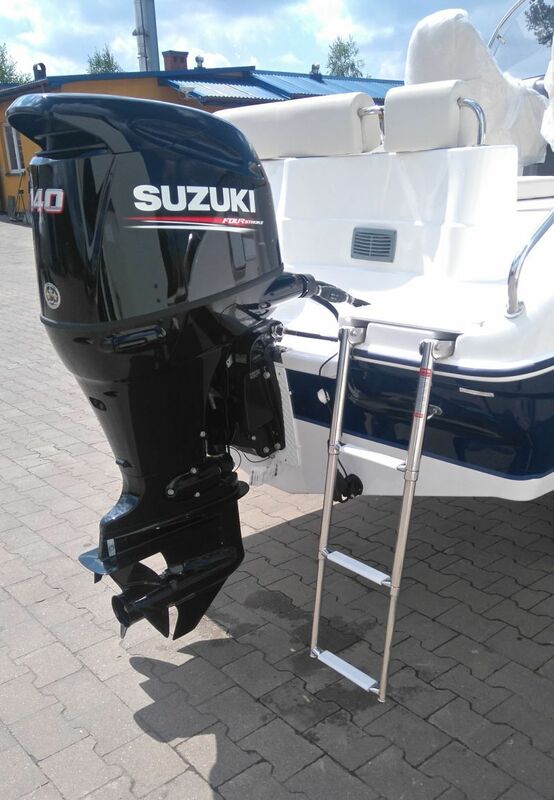 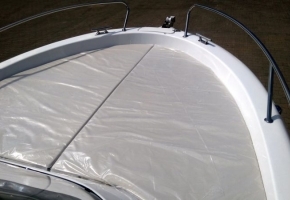 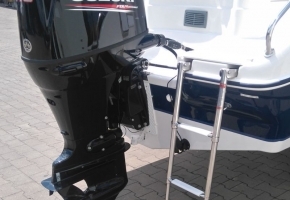 This solution enables you to stay on the water whenever and wherever you like. 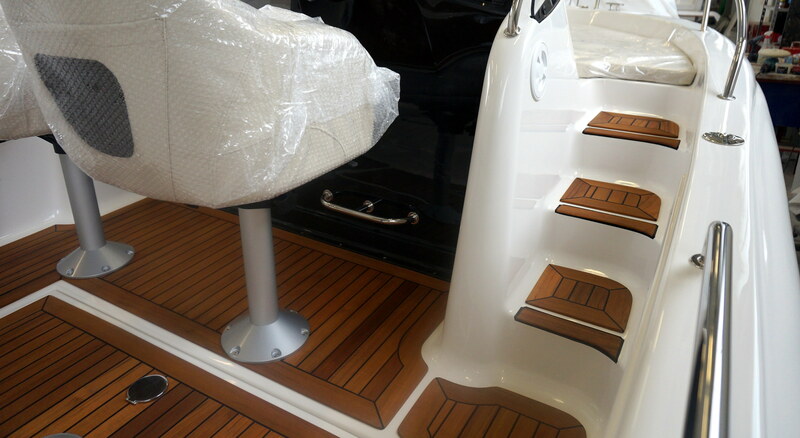 At the bow of a boat you will find comfortable and upholstered sundeck, on the back there is seating area with useful table. 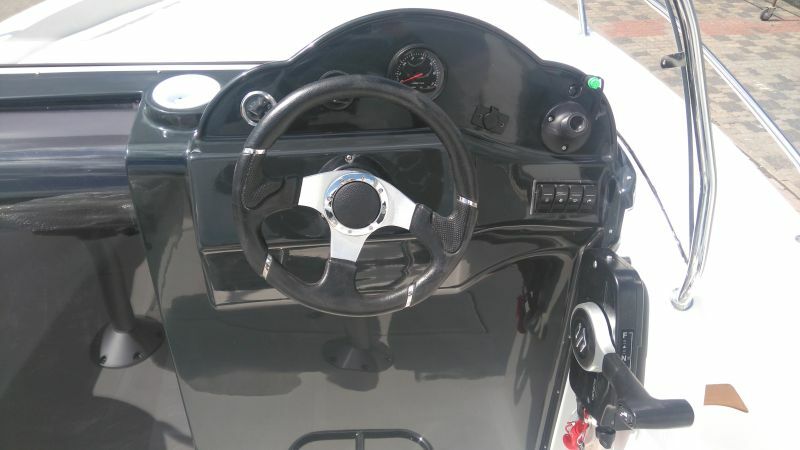 The boat is very stable, gives a full driving comfort. 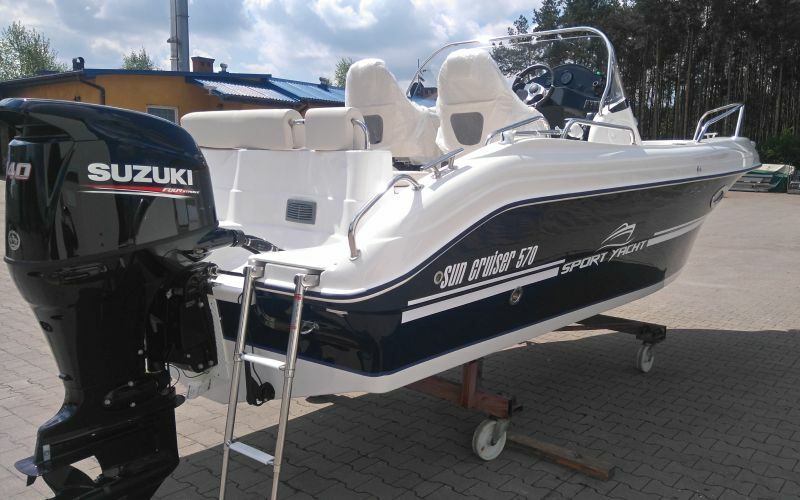 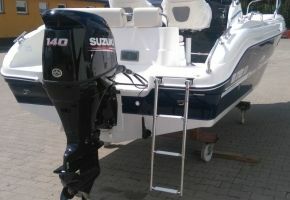 Sun Cruiser 570 offers both: excellent performance and all you need for attractive leisure time.